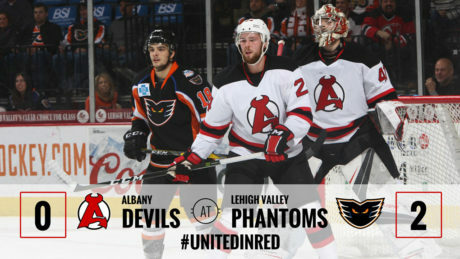 The Devils lost their second game of the weekend to the Phantoms, 2-0, Saturday at PPL Center. 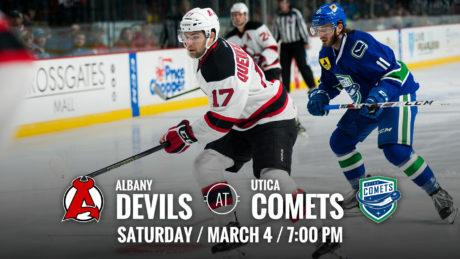 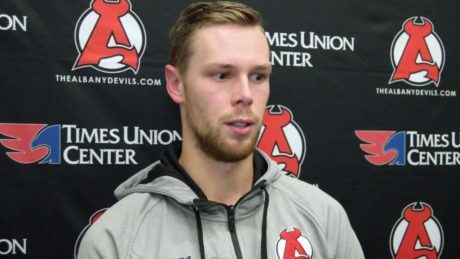 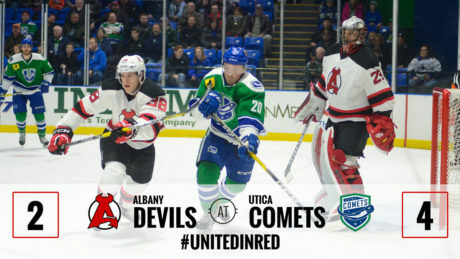 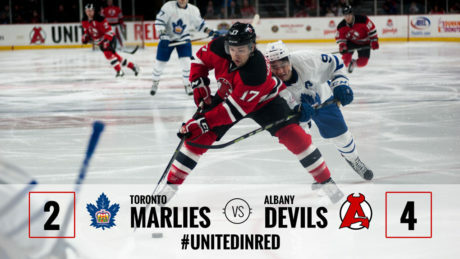 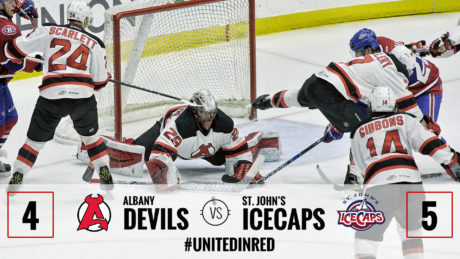 In the last battle between the Albany Devils and Toronto Marlies on Times Union Center ice, the Devils came out on top, 4-2. 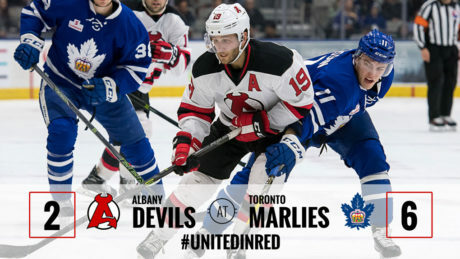 Trailing by two goals in the third period, the Devils fought back to force overtime and win in a shootout, 4-3, against the Marlies Saturday at Times Union Center. 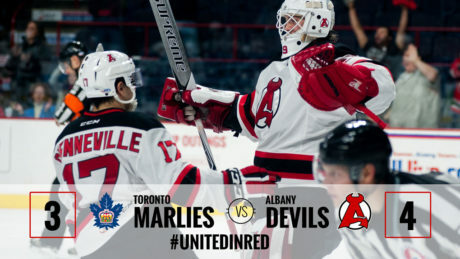 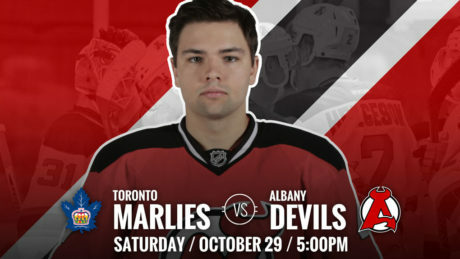 The Toronto Marlies took the first game, 3-0, of the weekend series against the Albany Devils. 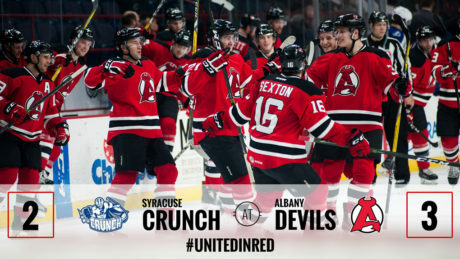 The two teams meet again Saturday at 5 pm at Times Union Center. 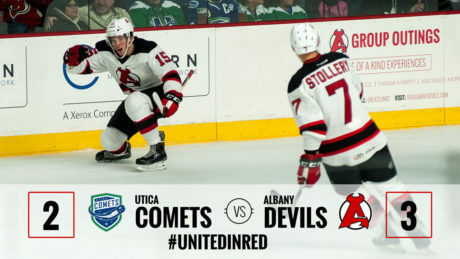 In the 27-year history of American Hockey League in the Capital Region, no team has ever started a season 4-0 … until now. 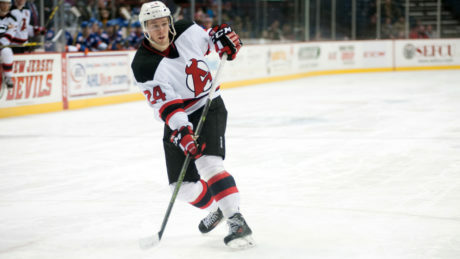 Despite being just 23-years-old, Reece Scarlett has stepped into a leadership role with the A-Devils.